Spec Formliners, Inc. has become the industry leader and outstanding innovator in quality concrete form liners. We’ve pioneered large panel art motif projects while maintaining a modern and complete selection of standard form liner patterns. 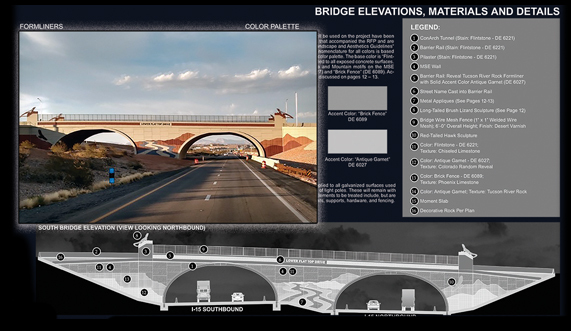 "To be Impressive on Concrete through Quality Reliability, Creativity and Integrity." Spec Formliners, Inc. has the largest concrete form liner selection in the universe. One of our specialties is the fabrication of custom patterns and artistic designs built to specifications in contract plans. We work closely with engineers to turn their vision on paper or CAD into a physical 3D mold. With the ability to laser-scan physical objects and reproduce them on any scale, Spec Formliners, Inc. is miles ahead of the competition. We now offer a specially formulated form release that is specifically designed for use with our form liners. Doing Business With Spec Formliners, Inc.
Architects appreciate the attention to detail they receive from our concrete form liners. Contractors value our willingness and ability to customize panels for difficult concrete form liner forming applications. Engineers admire our capacity to interpret complex construction plans and to create detailed shop drawings of their products. Dealers favor our level of support and service for concrete form liners. How can I get a quote or pricing for my project? 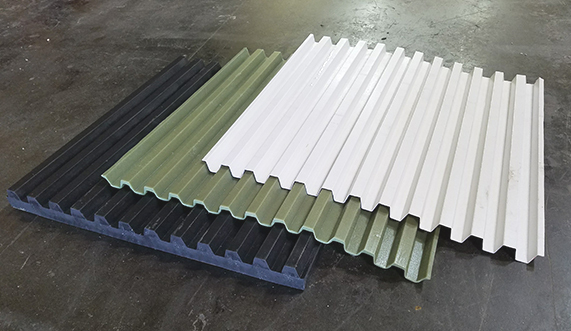 For pricing contact Spec Formliners, Inc. at 714.429.9500 or email us with your pattern, material, and quantity requirements. How do I determine which material would work best for my project? SpecVac Single-use plastic: Affordable material, intended for projects where there is either a lot of cutting or the liners are going to only get used one time (such as a tilt-up). Maximum panel size is 4’x12’. SpecVac Multi-use plastic: intended for 2-10 uses. Great on cast-in-place projects. Maximum panel size is 4’x12’. ElastoSpec-Lite: A semi-elastomeric material intended for 15-25 uses. This is an unbonded formed material. Great for custom patterns, custom panel sizes, patterns with lots of relief and details, and moderate re-use on projects that require some cutting or trimming of the liners. Meets DOT specs for semi-elastomeric material. ElastoSpec: Urethane bonded to a 3⁄4” plywood backing. 25 uses and up. Great for heavy highway projects and patterns that require lots of relief or detail, custom patterns and custom panel sizes. Meets DOT specs for elastomeric material. 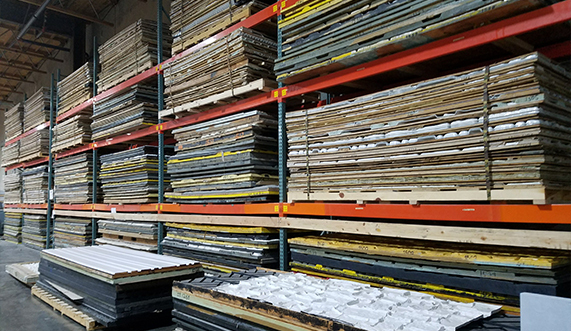 It’s always best to check with a Spec Formliners, Inc. sales rep to discuss the specifics of your project and material selection. What is the lead time for form liners? For current lead times, check with a Spec Formliners, Inc. sales rep by calling 714.429.9500 or by email. In general, all orders at Spec Formliners, Inc. are made to order. We do not keep inventory in stock. Do your materials meet LEED specifications? Our plastic material is made entirely from recycled plastic. Additionally, all of our scrap plastic gets ground down and re-used for future plastic orders. For more information, please view our Green Statement. I have questions on how to apply the material. Where can I find answers? You can find answers by viewing and downloading our application guides from the Resources page. Additionally, you can always contact a Spec Formliners, Inc. sales rep for assistance by calling 714.429.9500 or by email. Do you have any project photos I can view? To view some of our project photos, please visit our project gallery. If you are looking for photos of a specific pattern or project, contact us by calling 714.429.9500 or by email. What form release do you recommend for use with the form liners? 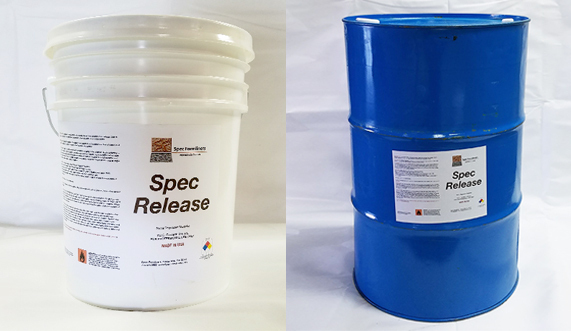 We worked with a professional chemist team to develop SpecRelease, a vegetable oil-based form release specifically formulated to be used with our form liners. SpecRelease is VOC compliant and 100% non-toxic. We highly recommend SpecRelease as the best product on the market for our form liners. Contact a Spec Formliners, Inc. sales rep for pricing.